Tanzania gold producer Acacia Mining has released its results for Q1 2017, showing an increase of 15% in gold production compared to Q1 2016, but also a contraction in sales, almost 35,000 ounces lower than production. Gold production reached 219,670 ounces, while gold sales was 184,744 ounces, in line with Q1 2016, but 34,926 ounces lower than production, primarily as a result of the Tanzanian Government’s directive stopping the export of metallic mineral concentrate, the company explains. During Q1 2017, revenues reached USD 234 million, 6% higher than Q1 2016, as increased production from North Mara gold mine and a 6% increase in gold price has offset the impact of lower revenue from gold/copper concentrate sales. The earnings before interest, taxes, depreciation, and amortization (EBITDA) was USD 82 million, 25% higher than Q1 2016, mainly due to slightly higher revenues and lower direct mining costs. This results in net earnings of USD 27 million (USD 6.5 cents per share), up from a USD 52 million loss in Q1 2016 and up 48% from Q1 2016 on an adjusted basis. 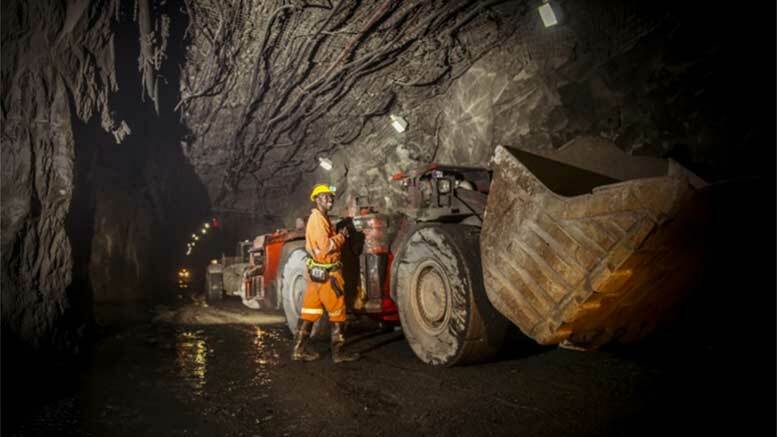 Acacia Mining operates three mines in Tanzania: Bulyanhulu, Buzwagi and North Mara. However, the Tanzania Chamber of Minerals and Energy (TCME) believes that the mining companies operating in Tanzania need to be allowed to continue to export their products for smelting until when there us an operational smelter in the country. The President of Tanzania Hon. Dr. John Magufuli on 1st April 2017 swore in the members of a special committee to examine the extent and type of minerals contained in mineral sand in containers and on 10th April 2017 appointed the members of the second special committee that will investigate the amount and value of mineral sand containers exported since 1998.